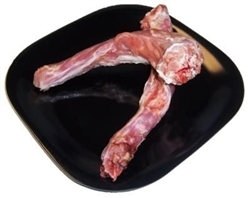 Raw turkey necks are a great source of natural protein, fat, and calcium. Turkey necks are full of essential fatty and amino acids. Turkey necks are recommended for medium to large dogs.